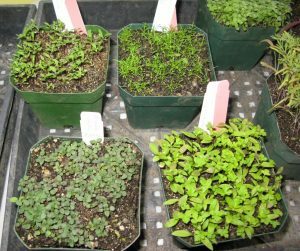 Learn the basic principles of seed propagation & seed-sowing techniques to sow a variety of annuals. Learn how to prick out the germinated seedlings into larger rounds to take home and grow in your garden. Space is limited to 12 participants. Participants must attend both workshops. Registration and pre-payment required. $80/$60 for members.